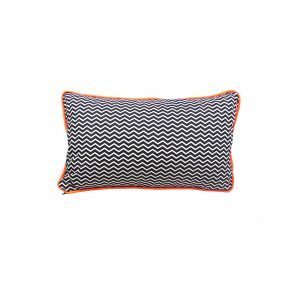 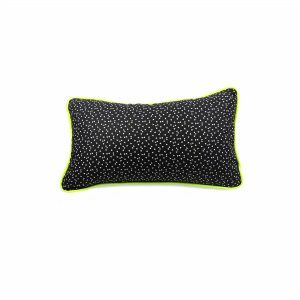 Monochrome chevron geometric print cushion cover features a soft dark grey velvet back and your choice of neon piping. 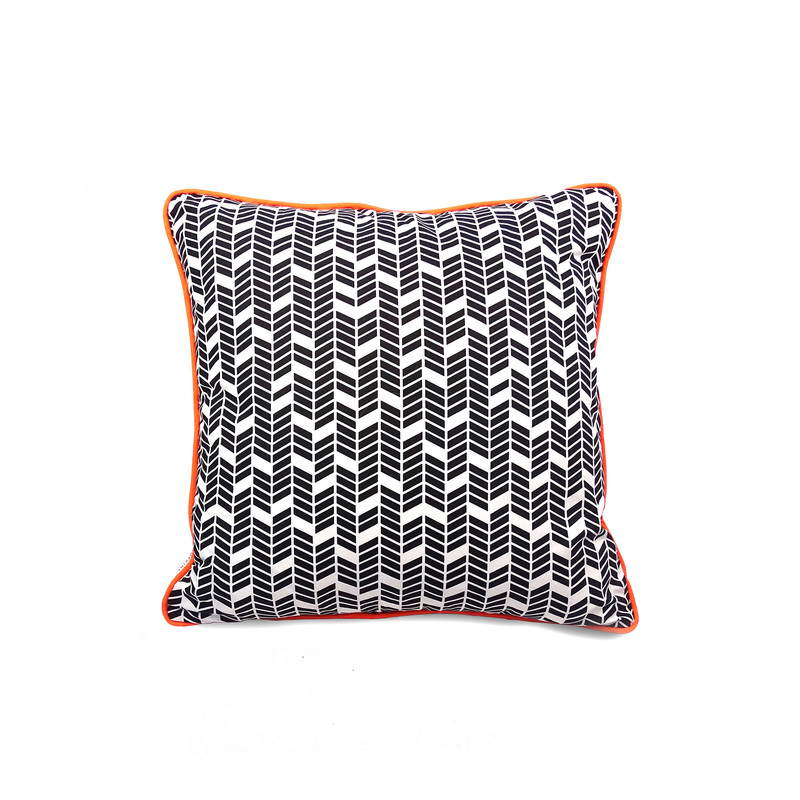 Monochrome chevron geometric print cushion cover features a soft dark grey velvet back and your choice of neon piping. The image shows neon orange, but you can also choose from pink, yellow or green, as shown in the later pictures. 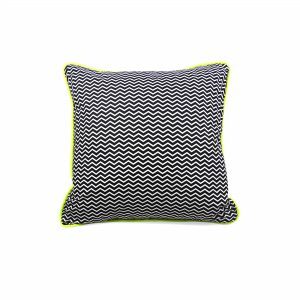 This vibrant and unique cushion would make a fabulous addition to any sofa or bed, and is sure to add the wow factor to your home! 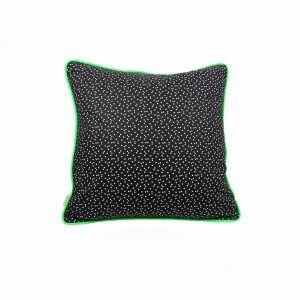 It is available in two sizes, 50x50cm and shown and a smaller 40x40cm. All of my cushion covers are handmade to order in my Edinburgh studio so please allow up to three weeks for cushion cover to be ready. 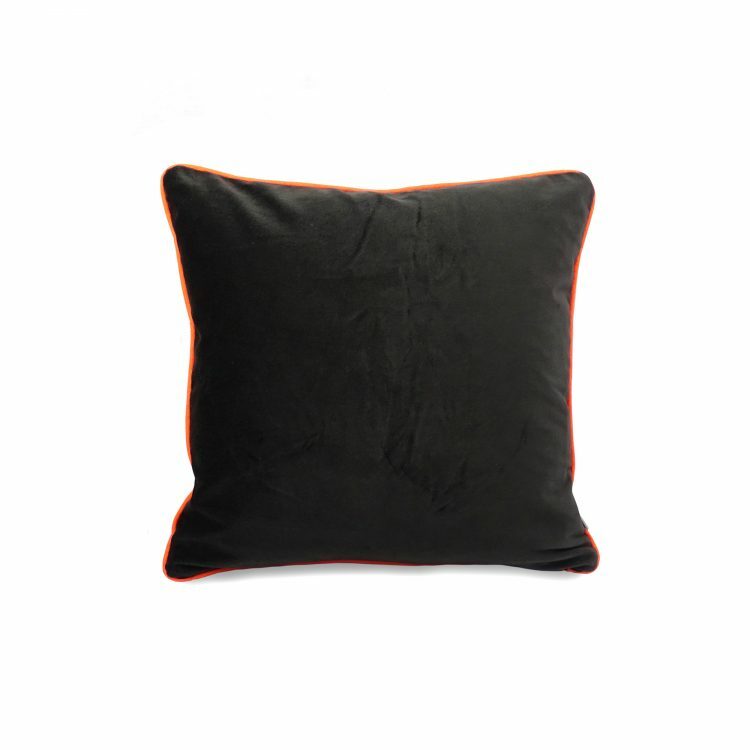 Do let me know if you need it sooner and I will do my best to accommodate.